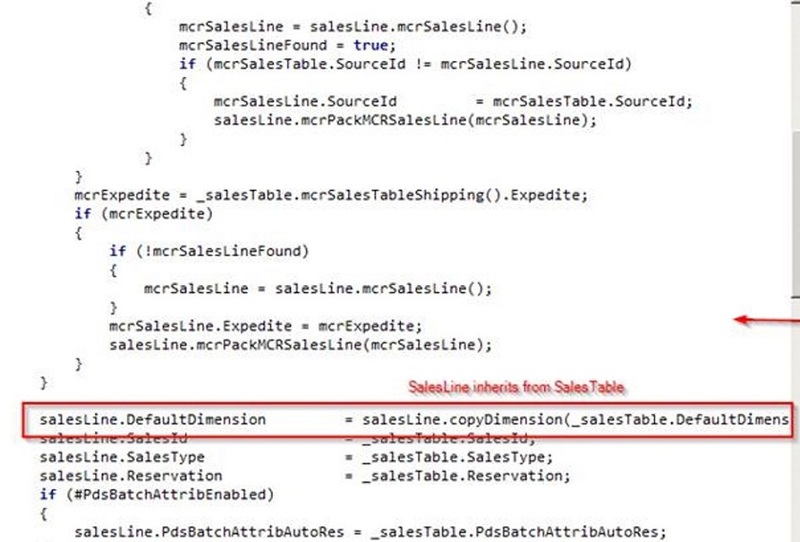 In both scenarios the sales order header inherits its financial dimension values from a main entity: in the Retail web order scenario that’s the Retail channel, whereas the customer is the main entity in the non-Retail sales scenario (criterion for ‘being’ a non-Retail sales order: RetailSalesTable.RetailOrder == NoYes::No). This difference makes sense as in the Retail scenario you might want to keep track of the sales channel your actual sale originated from. 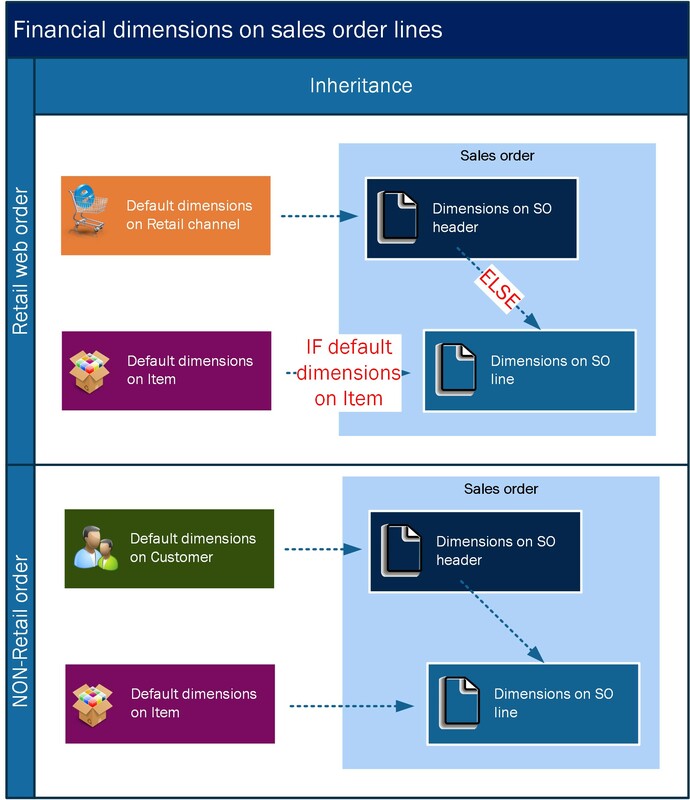 But there’s one major difference between the scenarios when it comes to sales order header to sales order line inheritance: in the non-Retail case, the financial dimension values on the sales order header and item level are both (AND) inherited to the sales order line. 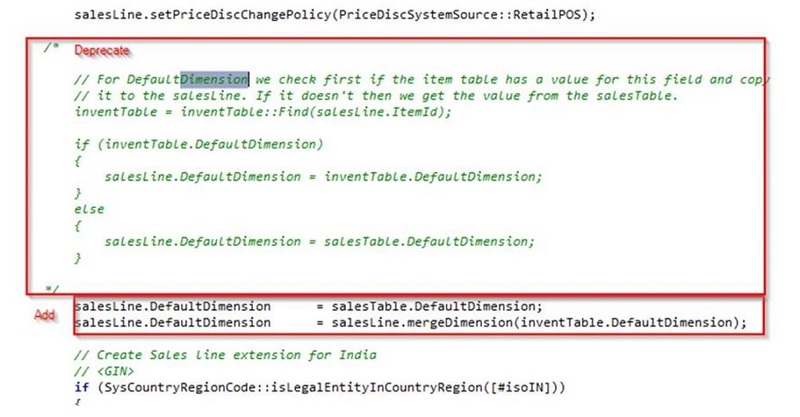 In the Retail web order case it’s a case of OR: if the item contains default dimension values, then these are copied to the sales order level, otherwise the sales order line inherits the sales order header dimension values. 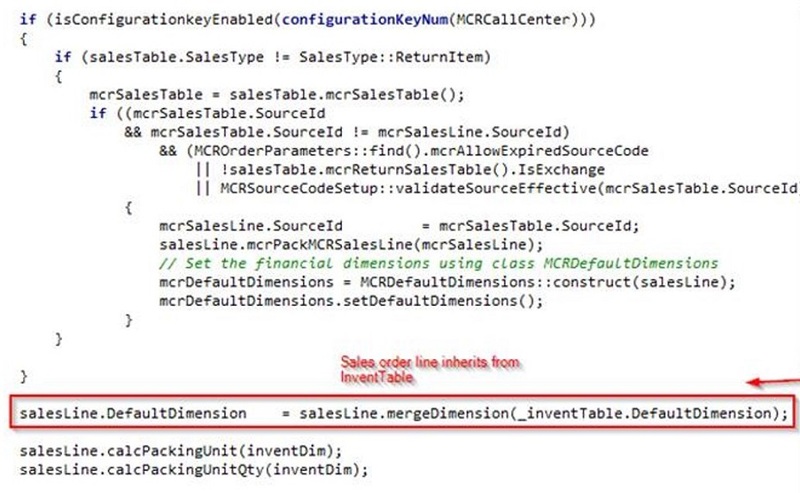 So, the actual magic is in the salesLine.mergeDimension method. Here’s where the AND card is played. 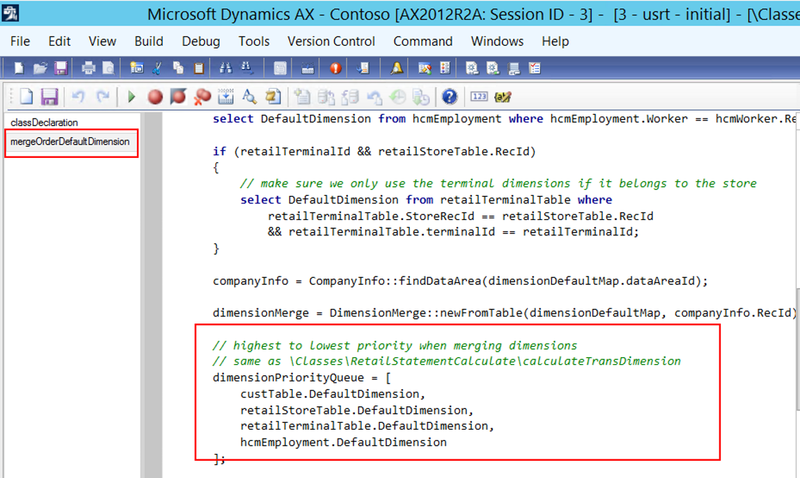 In this context, financial dimensions are set on sales order header level as a hierarchical merge of even 4 dimensions: customer, Retail store, Retail terminal and worker. 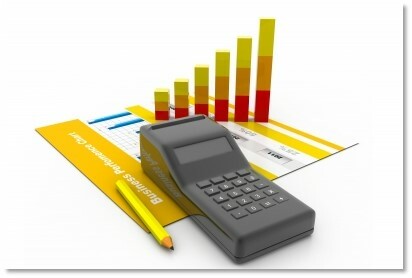 You’d better be aware of all these variants when setting up AX financially ;-).